Dynamics of Globalization and Development debates the role of structural adjustment programs and policies, the implication of financial liberalization for growth and stability, the effects of foreign direct investment and the associated behavior of multinationals in terms of intellectual property rights, the diffusion of technology, growth and development. Many contributors offer innovative insights into the complexities of the process in terms of its micro foundations, and propose efficiency-based multinational policy frameworks. 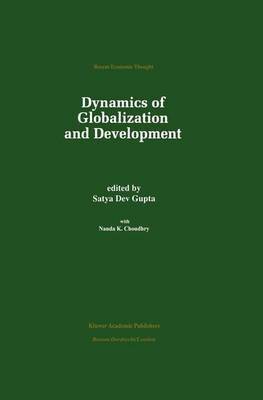 A general thrust of most of the studies in this volume is that the market-driven process of globalization alone will not lead to stable and equitable economic growth Consequently, several contributors recommend a set of proactive policies to promote greater stability in the system and a more equitable distribution of the benefits of globalization. This anthology will provide valuable insights and important background analysis for scholars working in the field of globalization as well as senior undergraduate and graduate students in a variety of curricula, including economics, finance, development studies, and international studies.